Available from March 1-October 31, this two-hour narrated tour provides an insider’s view of the track and key landmarks, giving you unparalleled access to the historic Speedway facility – all from the comfort of a golf cart. 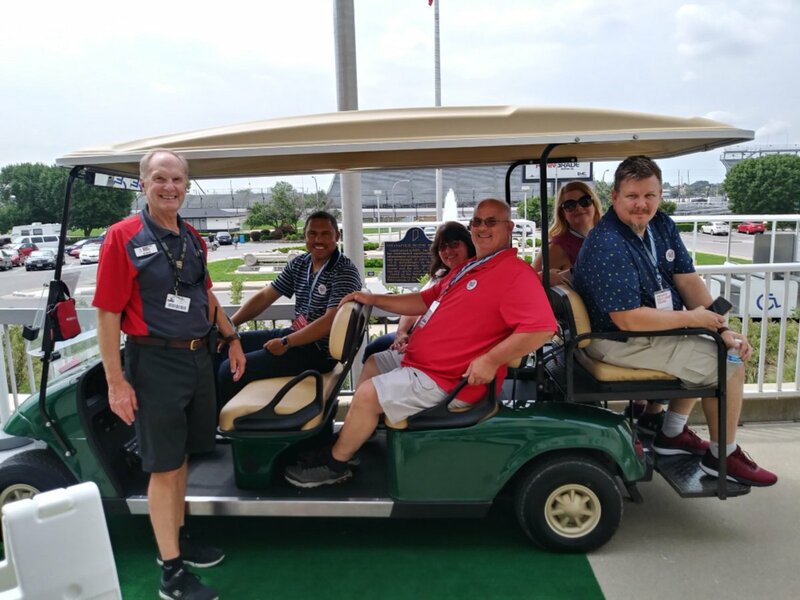 Refreshments and one-on-one discussion with an Indianapolis Motor Speedway Museum tour guide are included, along with a self-guided tour of the Museum’s featured exhibits, the Tony Hulman Theatre, and permanent displays of winning Indy 500 cars and racing memorabilia. Behind-the-scenes access to the following areas: The Start/ Finish line, Media center, Timing & Scoring, Panasonic Pagoda, Garages, Victory Podium, ‘Snake Pit’ and concert areas, Suite area.